Home » Blog » Last-Mile Delivery: What Is It, & How Does It Impact Your Business? Have you ever ordered an item and, when checking up on tracking, noticed it’s been listed as “Out for Delivery” for what seems like forever? Last-mile delivery is the term for getting a product from the final storage warehouse or retailer into the hands of the customer, or the “last mile.” While this step in the delivery process often is far longer than just a mile, it’s one of the most complicated and important steps in the product distribution and logistics process. Why Is Last-Mile Delivery So Important? With the rise of Amazon Prime, speedy shipping from the retailer or warehouse to the customer’s doorstep has gone from being a nice-to-have detail to a necessity. Unless you provide an essential, exceptionally rare, or otherwise unique product, if customers aren’t able to receive your products within a few days’ time, they may go elsewhere. What Are Some Challenges Businesses Face with Last-Mile Delivery? Cost: Unless you are moving large quantities of product through your warehouse, paying for quick last-mile delivery can get expensive, especially in more rural areas. This cost must either be absorbed by your business or passed on to the customer, and each of those options poses its own monetary risks. According to Business Insider, last-mile delivery costs make up 53% of the total cost of product delivery. Logistics: If you house your products in multiple warehouses, or if your customers are ordering from very different areas of the world, being able to guarantee the same delivery time frame to everyone can seem impossible. Reliability: Entrusting this crucial point in your delivery chain to a third-party vendor whose prices may be low but whose efficiency and effectiveness are untested is risky. Competition: If a competitor selling similar products can ship to customers faster and cheaper, it could cause you to lose sales. What’s ahead for Last-Mile Delivery? Thanks to the rise in competition, as well as improvements in technology, last-mile delivery is becoming quicker, more reliable, and less expensive than ever before. Big shipping companies such as UPS, FedEx, DHL, and even USPS are continually looking for ways to make last-mile delivery more efficient and cheaper for customers. In addition, the rise of crowdsourced delivery options – models similar to Uber, Airbnb, and Postmates – means there’s more competition to spur on innovation among the big guys. 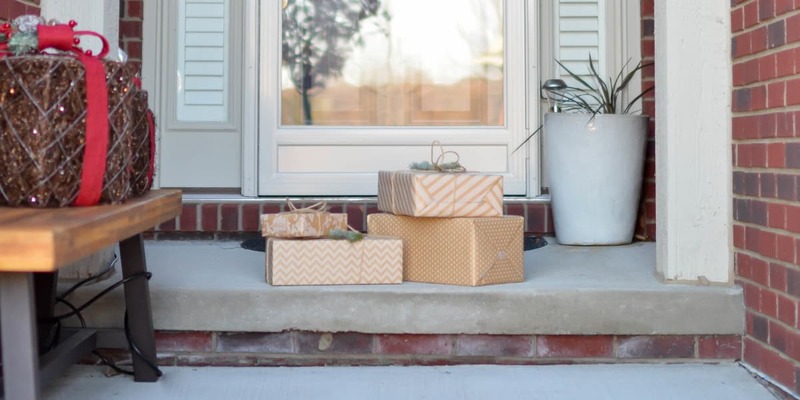 Depending on where you’re shipping from and shipping to, you may be able to find a small, independent shipping startup that can get packages to your customers in less time and for less money. While we don’t directly handle your last-mile shipping, the skilled team at Cannon Hill Logistics works hard to make sure your products are ready to be shipped to your customers as soon as your shipping vendor of choice arrives. From full-scale warehousing and product distribution solutions down to customer service management and kitting services, Cannon Hill Logistics has what your business needs to succeed. We’re not a one-size-fits-all logistics company. We design customized solutions for every client based on budget and needs. Contact us today to see how Cannon Hill Logistics can help your business dreams come true!